Classic or floral? Washed or natural? French or light roast? Blended or single origin? Take a stroll through Gastown and discover a plethora of niche coffee shops, each with their own unique blends and brews. 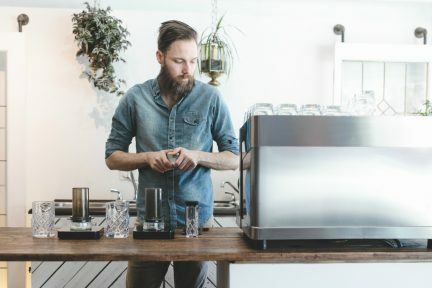 For those well-versed in the language of beans, Vancouver is home to a talented community of roasters and cafes constantly raising the standard of java excellence. 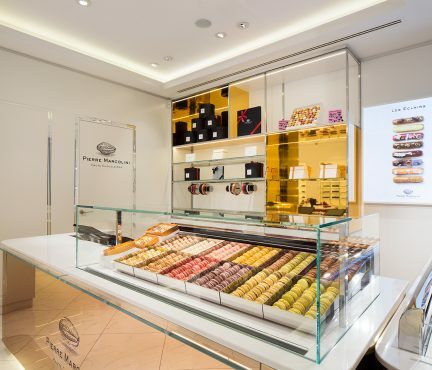 But for those new to the city’s evolving coffee culture, or those who perhaps know what they like the taste of without understanding why they like it, the choices can be intimidating for both the mind and the palate. So, where does one begin? An influential force in Vancouver’s coffee industry for the last 20 years, local organic roaster JJ Bean is making good old joe more accessible and welcoming. Since 1945, four generations of the Neate family have roasted coffee. Known then as Neates Coffee, the company specialized in wholesale beans before being bought by Nestlé. While working for the Swiss beverage and food company conglomerate as a salesman, John Neate Jr. decided it was time to strike out on his own. This was during the mid-1990s, and although Starbucks was the main player in the game, Neate realized that if he could roast coffee every day, he could offer his customers something incredibly fresh. And so, JJ Bean was born. “We had more than 20 blends of coffee,” recalls Grady Buhler, head of product quality and member of the senior leadership team at JJ Bean. He is at the site where it all started: the brand’s wholesale headquarters, roastery, and first-ever cafe location at 1904 Powell Street. 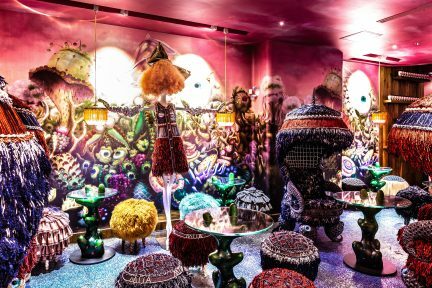 “One of the things that I did early on was that I wanted every blend to have a specific purpose,” Buhler explains. “So now we have four blends and they are all very different.” A licensed Q Grader with the international Coffee Quality Institute, Buhler constantly samples brews and makes fine adjustments to ensure the blends taste as intended year-round. From the Espresso JJ (caramelly, toasty, and nutty) to the Eastside (chocolaty and fruity), JJ Bean has transformed the mentality of old-school secret blends into one of openness and transparency. While this has empowered the company’s loyal following to make conscious decisions about the coffee they consume, it has also given them the opportunity to learn more about the production process and various flavours in the form of free public tastings. Cuppings, as they are called, are hosted every week at different JJ Bean cafes throughout Vancouver (as well as at the brand’s four newest locations in Toronto). Conducted by David Long, head roaster at JJ Bean, individuals are joined by employees in sampling different varieties of featured coffee. 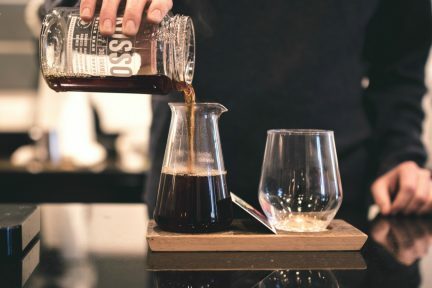 Here, participants make the distinction between drinkability and tasteability (trends in coffee welcome intriguing flavours that are interesting to try but otherwise hard to commit multiple mugs to). Participants learn the basics behind the ideal roast profile of a particular bean—the degree of brownness to which it is roasted—and where it was grown and harvested, while also developing their palates by unlocking subtle, underlying aromas and tastes. 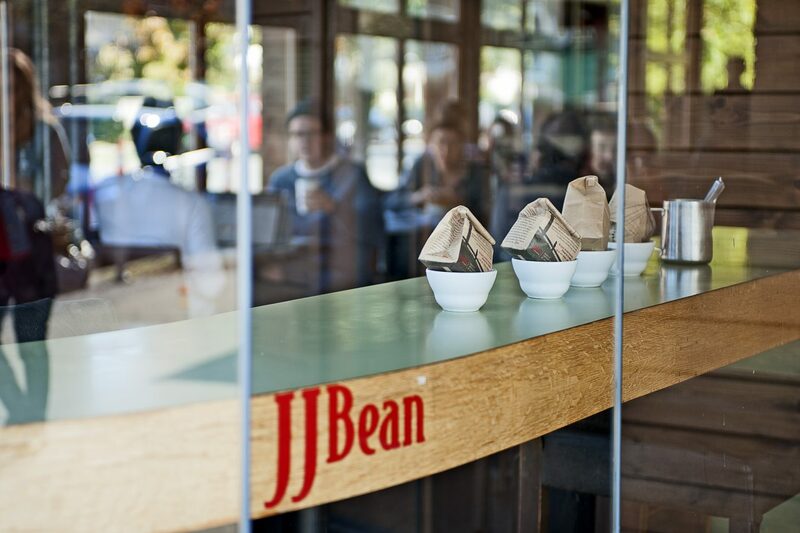 Leading by example by paying well above fair-trade prices and working with trusted international farmers, JJ Bean has long been at the forefront of coffee culture in Vancouver. And that’s not likely to change anytime soon. Stay awake. More coffee this way.